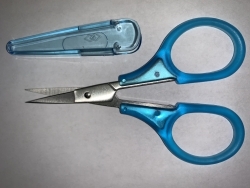 This pair of 3.25" embroidery scissors will remind you of cotton candy, light and airy. The see-through plastic covering on the handles make them comfortable to use, with a slip-resistant grip. 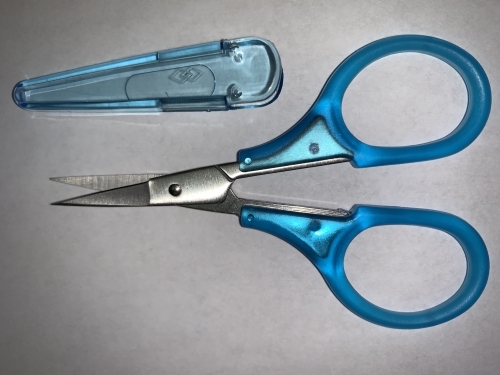 The color-coordinated plastic point protector snaps into place to protect the sharp pointed blades. One-inch blades are air travel approved!